Photo collage - over 250 FREE design templates - up to 100 photos! In contrast to the photo mosaic, the photo collage is an attractive way to depict several photos equally in one picture. This allows you to present a collection of your favourite photos in one – a photo collage. Here, you can very easily create a pic collage online. All you need are your selected photos. With our photo collage maker, we provide you with our collage software online. In the online collage maker, you can choose from more than 250 collage templates. Once you have your photos uploaded into the collage maker, creating your photo collage is child’s play. What photo collages are there in the collage maker? We offer over 250 photo collage templates free of charge in our photo collage editor. These differ in the number of photos that can be used, in the use of text, or in the theme of the template. Many like to add text to their photo collage; we offer various options here in the free collage maker. You can choose from different fonts, font sizes and colours for the text on your photo collage. This allows you to individualise your photo collage. 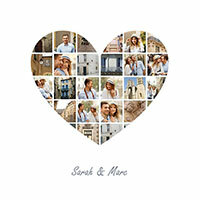 In our photo collage maker, we offer themed templates for special occasions. You’ll find attractive templates for your photo collage under the headings travel, flowers, love, party or animals, for example. These templates are optimised for printing and are particularly impressive in large format. How do I create a photo collage? Our photo collage maker makes it very easy to create a photo collage. First, you transfer the photos you have chosen from your own hard-disk into the collage maker. There you will find a default photo collage template, but of course this can be swapped at any point for another. We have 120 different templates for you to choose from in the collage maker. You can simply pull your photos across into the preferred position on the photo collage from the “My pictures” photo upload folder. 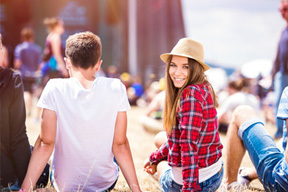 If the photo format and the picture space in the photo collage do not match, you can arrange the picture within the photo collage by clicking on the corresponding picture symbol. You can rearrange the picture in your photo collage as much and as often as you want. Once you have found the perfect arrangement for your photo collage, simply click on “create collage”. What can my photo collage be printed on? We offer all sorts of materials for printing your photo collage. 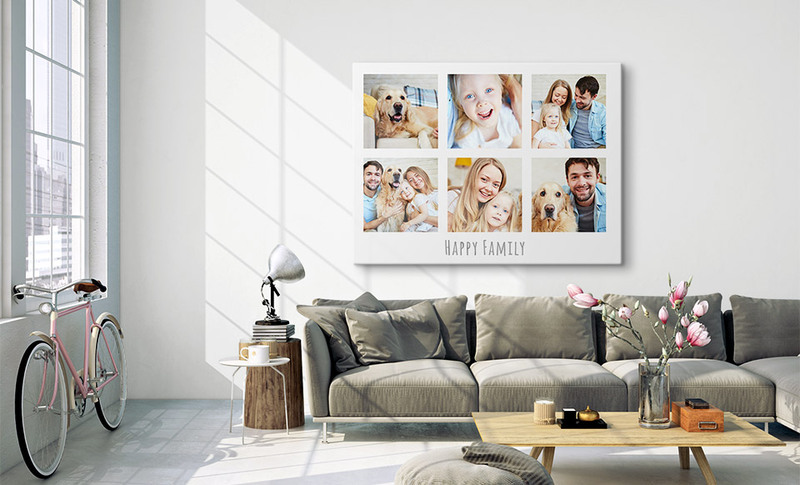 Most customers choose a photo collage canvas. Canvas is particularly popular due to its fine surface structure and the attractive wooden stretcher frame. 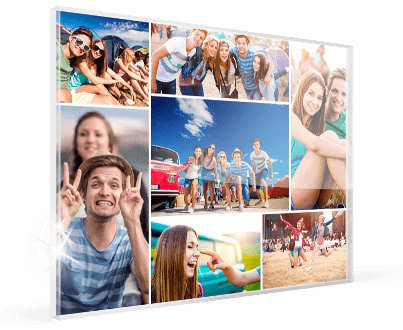 But posters, acrylic glass or Alu-Dibond are also popular choices for printing your own photo collage. Photo collages are often used as calendars. 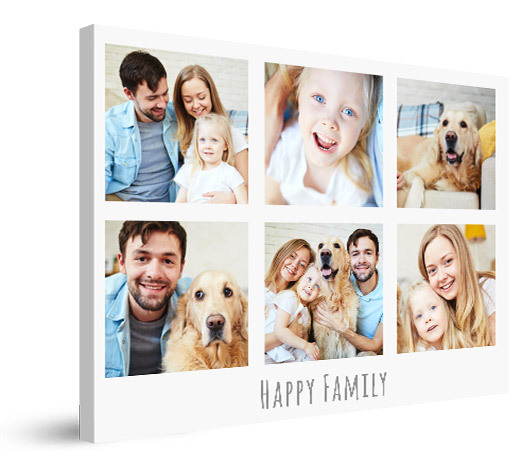 Here you can decorate a calendar template with the photos you choose to create photo collage calendar of your own photos, which will display your loveliest photos all year round. The photo collage calendar is available in various templates.